Maryland has a progressive state income tax, as well as county income taxes. The state sales tax is among the lowest in the nation and the average effective property tax rate is below the national average. Retired? Use our Retirement Income Tax Calculator. Maryland is among the states in which local governments levy their own taxes on personal income. Specifically, counties in Maryland collect income taxes with rates ranging from 1.75% to 3.2%. Additionally, there is a statewide income tax in Maryland, with a top rate of 5.75%. While those combined state and local taxes place Maryland in the top half of U.S. states for income taxes, its state sales tax of 6% is among the 15 lowest. The state’s property taxes, at an average effective rate of 1.10%, are slightly higher than average. Of course, all of these taxes and rates are subject to their own specific rules and exceptions. Here we’ll take a closer look into the Maryland state tax system. There are both state and county income taxes in Maryland. The state tax is structured based on income brackets, similar to the federal tax system. The table below shows the rates and brackets for filers in the state of Maryland. In addition to those statewide tax rates, taxpayers in Maryland pay additional income taxes based on the county in which they live (not where they work). County income taxes are assessed at a flat rate, which means the rate does not change based on income level - there are no brackets. The table below shows the tax rates for every county in Maryland. The above rates apply to Maryland taxable income. Maryland taxable income is based on your federal adjusted gross income (AGI), but with some differences. 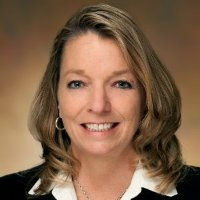 While the number of personal exemptions in Maryland will equal the number of exemptions on your federal tax return, the exemption amount is different. For single filers with an income less than $100,000, or joint filers with an income of less than $150,000, the exemption is $3,200. For single filers with income between $100,000 and $125,000, the exemption falls to $1,600; from $125,000 to $150,000 it falls to $800; and for single filers with AGI greater than $150,000 the exemption is zero. For joint filers or heads of household, the exemption is $3,200 up to $150,000 in income, $1,600 from $150,000 to $175,000, $800 up to $200,000 and zero beyond that. Additionally, there are a number of deductions and credits available to taxpayers in Maryland. Taxpayers making a contribution to the Maryland Prepaid College Trust or the Maryland Broker-Dealer Investment Plan may claim a deduction of up to $2,500 per year (extra contributions may be carried over to subsequent years). Credits can be claimed for, among other things, income taxes paid in other states and for childcare expenses. The sales tax in Maryland is 6%. Unlike many other states, there are no local sales taxes anywhere in Maryland. Therefore, this rate does not vary depending on your location within the state. It applies to most goods, including personal property like furniture and clothing, but not to most services. While alcoholic beverages are taxed at a higher rate, 9%, most food sold at grocery stores or markets is not subject to sales tax at all. However, prepared food as served in a restaurant is taxed at the 6% rate. Vehicles and other large purchases are subject to the 6% tax rate, with vehicles facing a minimum tax of $38.40. There are 179 separate tax authorities that collect property taxes in Maryland, including all 23 counties, the City of Baltimore and 155 incorporated cities. Rates vary depending on the district in which the home is located, but the statewide average effective rate (taxes paid as a percentage of home value) is 1.10%. This is slightly below the average among U.S. states of 1.12%. Baltimore has the highest effective property tax rate in the state, at 1.70%, while Talbot County’s rate of 0.66% is lowest. If you are looking to purchase a house or refinance your Maryland residence, take a look at our Maryland mortgage rates guide for all you need to know about mortgages in Maryland. Maryland has both an estate tax and an inheritance tax. Estate taxes are paid by the estate, while inheritance taxes are paid by the heirs. The 2018 exemption for taxable estates is $4 million, and the 2019 exemption matches the federal exemption at $5 million. Estates below that level do not need to pay the estate tax. Estates above that exemption pay a rate of up to 16%, with most estates paying closer to 10% of the value of the gross estate. Even if an estate is exempt from the estate tax, heirs may still have to pay the inheritance tax. Property passed on to a child or direct descendent, the spouse of a child or direct descendent, a spouse, parent, grandparent, sibling, stepchild or stepparent is exempt from inheritance tax. Property passed on to anyone else, including friends or colleagues, is subject to a 10% inheritance tax rate. Maryland taxes cigarettes at 10 cents each, or $2.00 per pack of 20. Cigars face a tax rate of 70% of the wholesale price and other tobacco products face a rate of 30% of the wholesale price. The statewide gas tax in Maryland is 35.30 cents per gallon regular fuel, 15th highest in the nation. The tax on diesel is 36.05 cents per gallon, 11th highest in the nation. 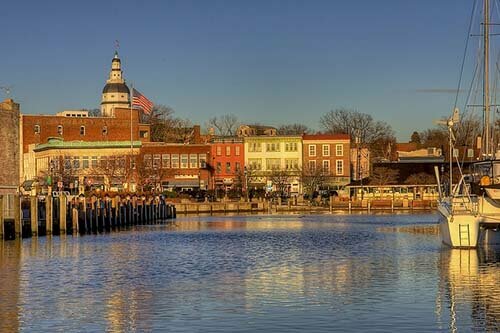 The Capital of Maryland is Annapolis, which is also home to the United States Naval Academy and was the site of the Continental Congress in 1783-84. 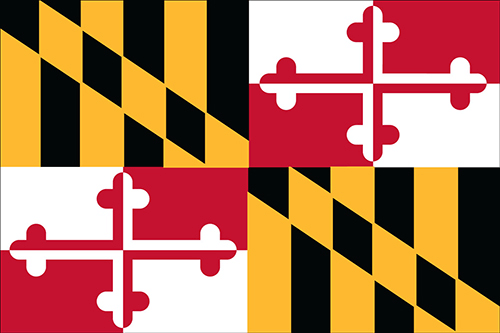 Maryland has an area of 12,406 square miles, making it roughly the size of Belgium. The Chesapeake Bay is the largest estuary in the United States and dominates the geography of Eastern Maryland.